So, here's a re-hash of an old post from CMB. In 2012, I decided to come up with a walk out roof-top deck system that incorporated, not only roof-top-deck-pavers, but also incorporated synthetic turf. The post of the project received more response, by far, than any other post. So, I decided to post it again. 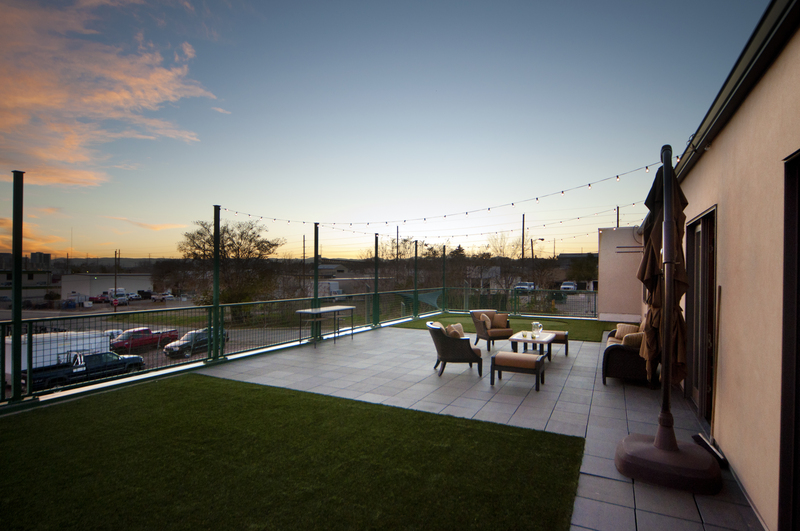 The project began as a need to design a rooftop deck system to cover an existing roof at our office. After extensive research, it became apparent that there weren't any existing systems that really fit with what I wanted to accomplish - a level deck that integrated with a tapered/insulated/single-ply roof membrane assembly; a system that allowed serviceability to the roof (if ever needed); and an assembly that was also minimum maintenance. So, I decided to come up with my own! Click here to see the details!